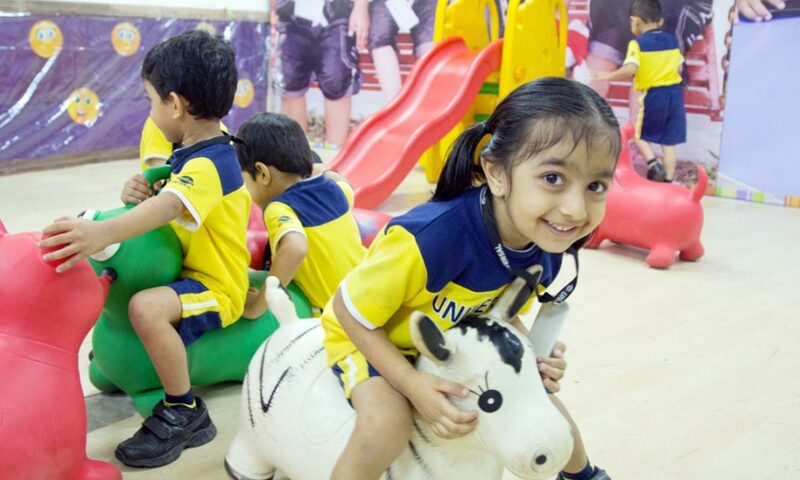 At Universal, the early childhood curriculum is designed to meet the needs, interests, and abilities of the young child as well as the demands of the 21st century. Our curriculum draws inspiration from the Theory of Constructivism, the Reggio Approach Learning and the Theory of Multiple Intelligences. Young children are by nature curious, active learners who learn best from direct firsthand experience. With the help and support of their co-learner, the teacher, they are able to construct meaning and reflect on their own learning. 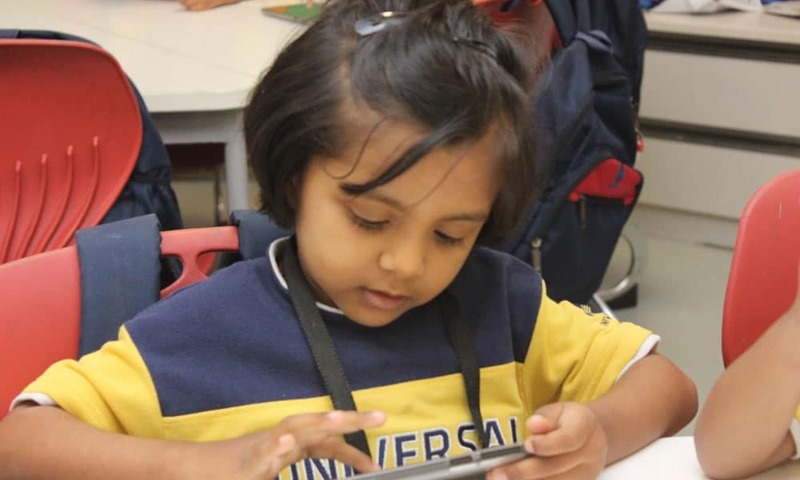 Such an approach prepares the ground for the young child to develop into an independent learner; such an approach also demonstrates the need for critical thinking and problem-solving throughout the day. The Project Approach as developed by Lillian Katz and Sylvia Chard is one of the unique aspects of teaching and learning at our institute. Through this approach, the child and the teacher become co-investigators as they jointly explore a significant concept. Field trips, interviewing resource persons, reading books, watching audio-visual content and most importantly documentation of the learning experiences, form parts of the process leading to the culmination of the topic. Through this approach, our young learners build critical thinking and problem solving skills. Play is at the centre of our early childhood curriculum as research has shown time and again the benefits of play for young children. Play not only clarifies concepts, facilitates social development and provides emotional relief but also provides sheer joy of learning! At Universal, the child also learns about the other 3 R’s – Responsibility, Respect, and Relationship through the life skills programme embedded into the curriculum. Our curriculum integrates social and cultural diversity. We respect diversity and impress upon the young child an awareness and appreciation of cultures other than one’s own through the celebration of festivals. Our curriculum lays emphasis on developing all the aspects of the child: cognitive, physical, social and emotional. Our approach resonates with the Theory of Multiple Intelligences that focuses on the development of the whole child. Our learning programme provides a language rich environment which promotes freedom of speech and offers opportunities to develop listening, communication skills and vocabulary enrichment with a strong emphasis on pre-literacy skills through phonics. Our learning programme builds logical thinking, high order thinking, critical thinking and problem solving skills. To build numeracy and mathematical skills, the focus is on developing a clear understanding of: order, patterns and relationships, cause and effect, abstract symbols and concepts of time, space & quantity. Activities in this area maximize the flow and movement of each child through diverse experiences such as sand play, water play, dance and drama as well as physical exercise which help in developing their gross and fine motor skills. 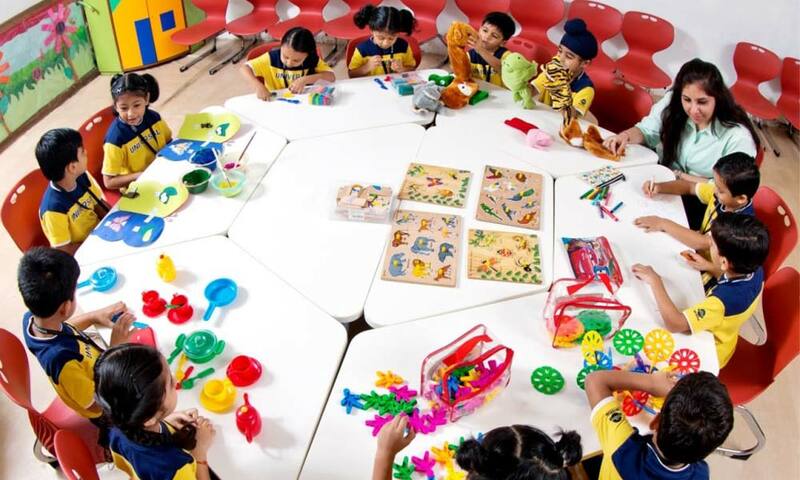 Activities in this area emphasize the ability to perceive the visual-spatial world accurately by engaging the child in creative activities such as drawing, colouring, painting, origami and other craft work. This area is developed through activities such as prayer and reflection leading to self-knowledge and the ability to act adaptively on the basis of that knowledge. This area develops the ability to understand and learn about one’s natural and cultural environment by exploring the world both inside and outside the classroom. Activities focus on cultivating an appreciation for music through exposure to songs and rhymes. A typical day at school provides freedom to develop positive friendships, relationships and self-confidence through self-initiative, freedom of choice and group work with both peers and adults. Young minds require a solid foundation to support future learning. 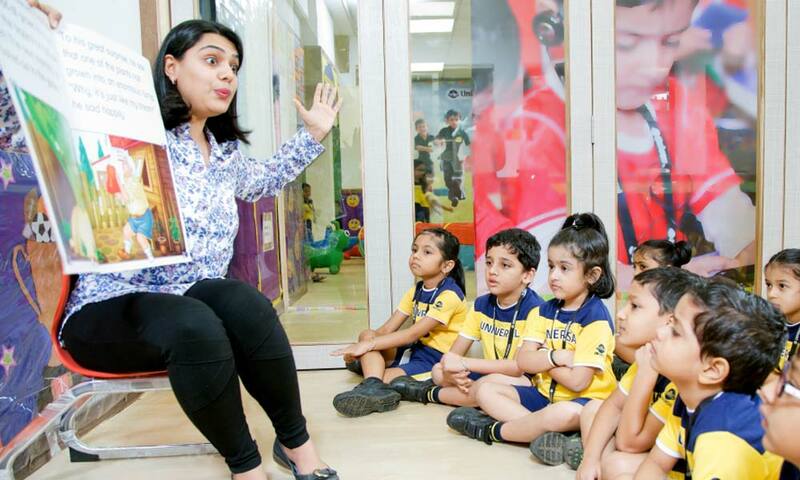 Our preschool curriculum prepares the learners to meet the demands of formal schooling. Our emphasis remains on strengthening literacy and numeracy skills which will support the learner throughout schooling. Our curriculum is designed to excite students about learning and prepare them for success.